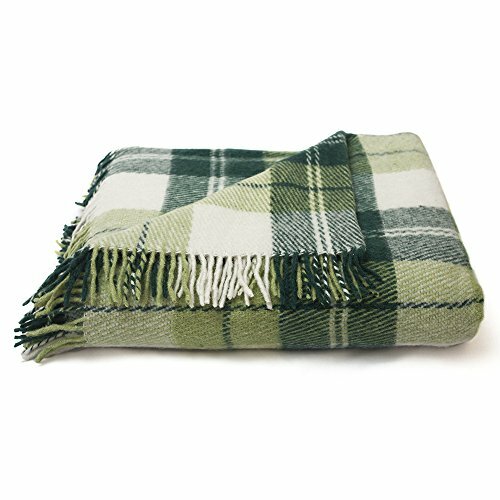 Luxury Wool Blanket 55\"x79\" by CG Home - Super Warm and Soft Green Blanket for Cozy Fall and Winter Days -Tartan Plaid Throw Blanket Accents Any Home DÃ©cor (Twin) ~ Cozy Home Decor ~ Olivia Decor - decor for your home and office. New (2) from $51.00 & FREE shipping. 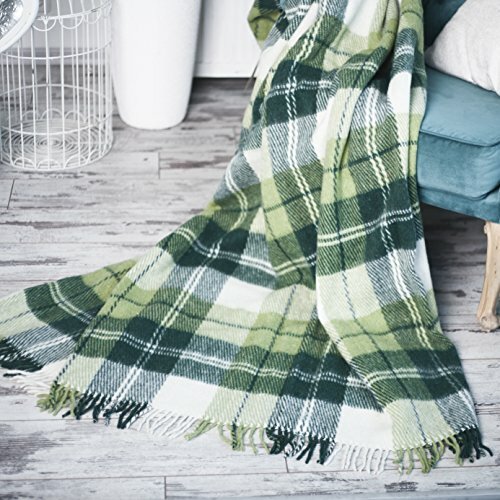 Size:55" x 79" | Color:Green Your new cold weather go-to!As the warm summer evenings turn into crisp fall nights, you'll find yourself reaching for your favorite blanket more and more. 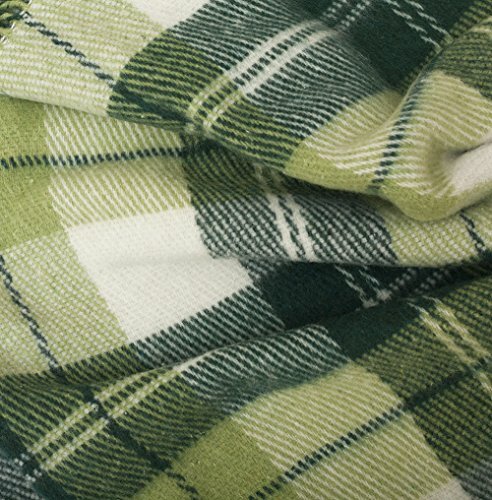 CG Home’s plaid luxury blankets are perfect for those curling up on the couch with a warm drink and a good book, or to wrap around yourself while you’re sitting in front of the fire.Experience the premium wool difference!When it comes to wool, quality is key, so we only use the best, hypoallergenic lamb’s wool. 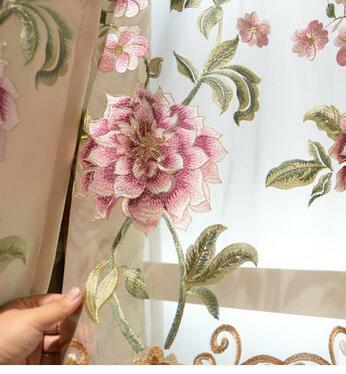 Expert crafters in Ukraine then weave it into large, lightweight blankets that will keep you warm on even the coldest of days. 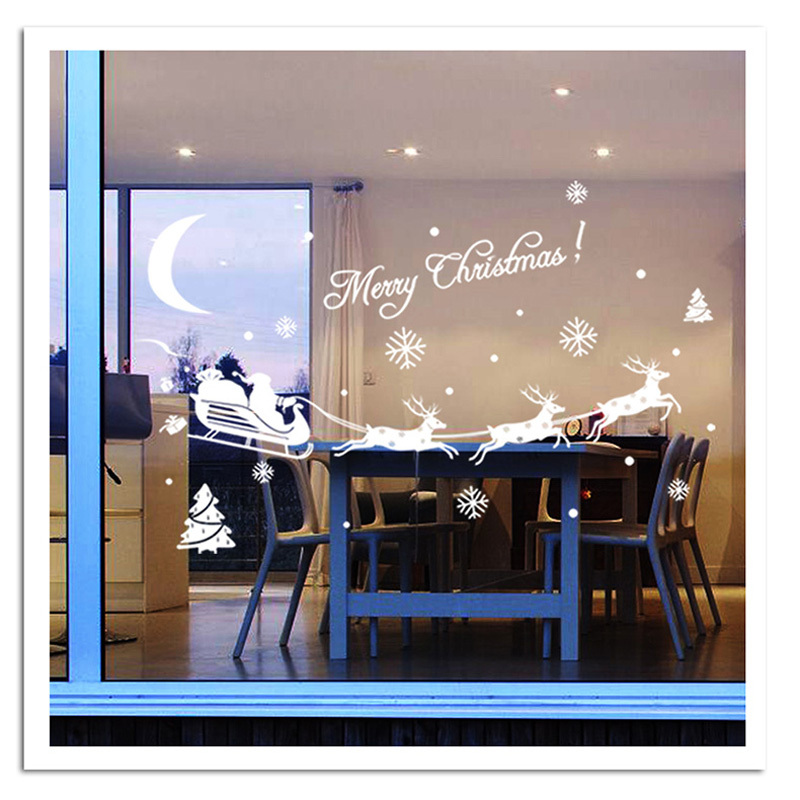 Wool is also water-resistant, making it a practical for indoor and outdoor use. 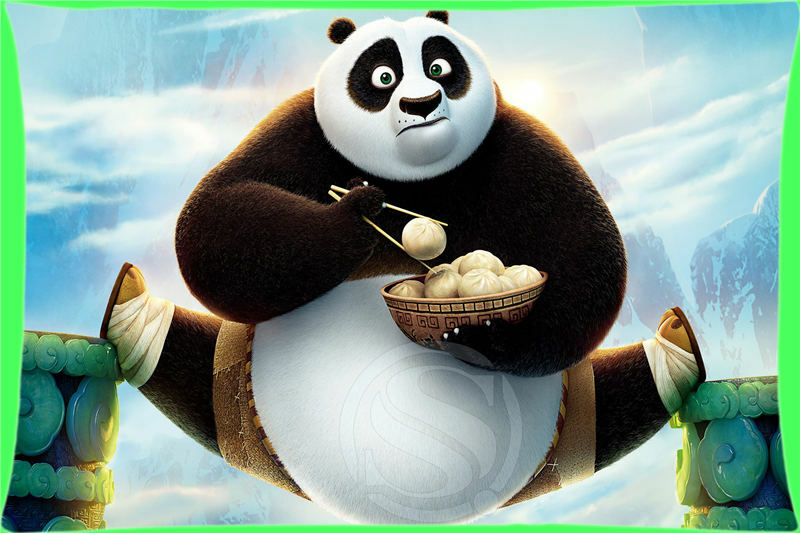 Plus, we blend it with acrylic, so it’s even softer than you knew wool could be! However, to keep your wool blanket in tip top shape, we recommend dry cleaning.The perfect addition to your home.While we certainly hope that the CG Home wool blanket becomes your go-to for a good snuggle, we know that sometimes throws are best used as decorative focal points. The Scottish Tartan pattern is classically chic and can be integrated into any design scheme. 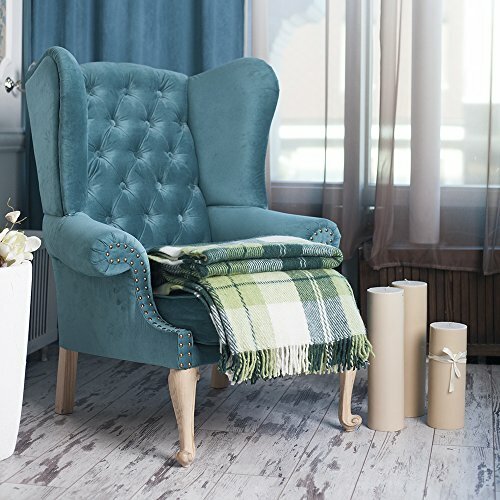 Hang it over the back of your favorite living room couch, or throw it on a front porch rocking chair for a rustic magazine-worthy look.Your satisfaction is our highest priority!We want your entire experience with CG Home to be amazing. Our focus on customer service means that we're here to answer any questions you might have, or to listen to any concerns. And though we hope you'll welcome our blankets into your home with wide-open arms, we also want you to shop with 100% confidence. 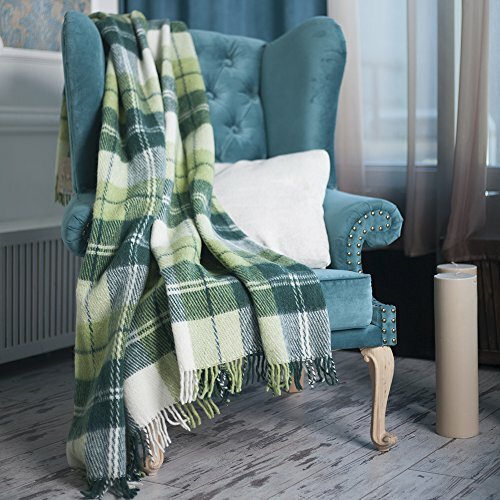 Part of that confidence comes from knowing that you can simply send your plaid wool blanket back for a full refund if you are unsatisfied for any reason at all.Make this winter the coziest yet, and add one to your cart TODAY! *Tone and size may vary slightly.